Select the desired page here. 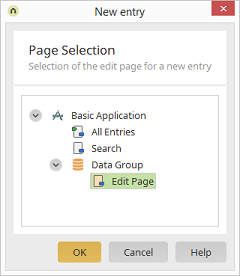 Any main page can be selected, as well as the edit pages from the data group where the plugin is defined. This data group must, however, be located at the uppermost level; all pages from subordinate data groups cannot be selected.